– Night Recovery Gel Balm Sensitive Skin Allergy Tested Vichy Thermal Spa Water Promotes Plumped Skin, Rested Features, Fresh Complexion From The 1St Morning, Even After A Poor Night'S Sleep. – Vichy Has Identified A Key Period Of The Night For Skin Quality Repair, During Which Nocturnal Renewal Mechanisms Are Reinforce: Skin'S Deep Sleep Period. – Skin Loses Its Deep Sleep – Skin Quality Upon Awkening Is Not Ideal. – In The Case Of Poor Sleep Quality, Lack Of Sleep Or Irregular Sleep Patterns, These Mechanisms Can Be Disturbed. 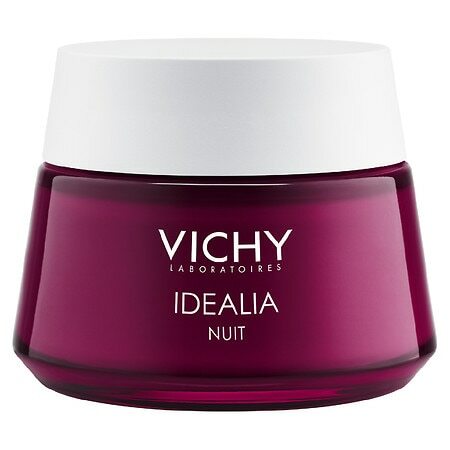 – Vichy Combines An Innovative Complex Of Ingredients In A Night Treatment To Help The Skin Mimic The Signs Of Deep Sleep. – Dull And Uneven Complexion, Rough Skin Texture. – Promotes Smoothed And More Radiant, Skin Quality Looks Ideal Form The 1St Morning Even After A Poor Night'S Sleep. – Emollient Dry-Finish Oils In A Fresh Gel Texture Provide A Unique Sensorial Experience. – Designed For Use With A Relaxing Facial Massage Before Sleeping. Beauty: Instant Dry Shampoo Spray by psssst!